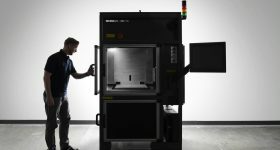 iMakr Launches Cubicon: the 3D Printer that "Just Prints"
With two large stores in London and New York City, and a strong presence online with the MyMiniFactory network, iMakr is one of the leading 3D print shop entities worldwide. 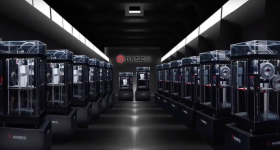 The company offers a number of select 3D printers, so if iMakr announces that it will be the exclusive retailer for a new 3D printer, most in the industry are listening to find out which one. 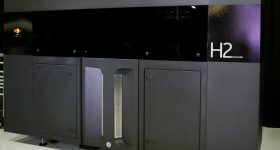 That moment has finally arrived and the new printer to join the iMakr line-up is the Cubicon from HyVISION, described as a 3D printer “that just prints”. 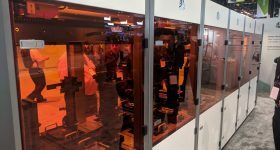 Produced by South Korea-based HyVISION System, a large and publicly traded group that manufactures and sells digital imaging technology, the Cubicon Single, along with the Cubicon 3D scanner, represents the company’s “3D business” division. 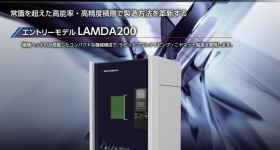 In fact, the machine stands out for its external appearance, which is reminiscent of a standard, highly-automated, 2D printer, which seems to have been developed specifically for a professional office audience that just needs to print out models with as little hassle as possible. This also translates to its high level of automation and ease of use, which is what iMakr was seeking as a method of reaching out to a more “consumer” clientele. The Cubicon features a complex auto-calibration system, which completely automates the entire plate-leveling process. 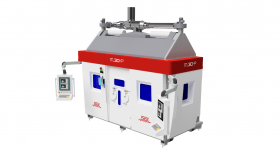 It also guarantees high resolution (from 100 micron to 300 micron layers), a large build envelope (240 x 190 x 200 mm) and good quality and reliability standards at an affordable – though yet undisclosed (at the time of writing) – price. “We are thrilled to be bringing the Cubicon Single to the world,” Romain Kidd, CEO of iMakr Group, commented. 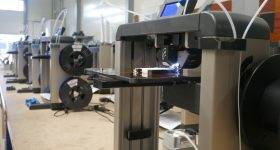 “We truly believe this is a revolutionary machine and cannot wait to have it in the hands of consumers across the world.” The iMakr physical and eCommerce shops will be HyVISION’s primary marketing affiliates in the Western market and will be stocking the Cubicon 3D printer in their 3D printing stores in central London and New York, as well as in their online store. 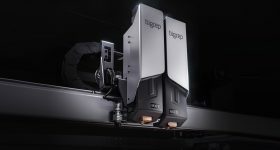 The Cubicon also stands out for representing several firsts: it was the first desktop 3D printer in Korea to introduce a replaceable extruder, as well as ULPA, HEPA and Carbon filters. 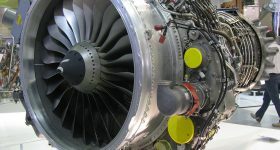 It was also the first Korean 3D printer to mount a convection temperature control function. The heated chamber means that it can use different types of PLA and ABS filament, with the spool hidden away in one its side walls, for an even neater appearance. We will update you as soon as possible with more details on the price; however, we are also going to follow this one closely, because demand for it will help us gauge whether, after a 3D printer in every studio and FabLab, the time has truly come for a 3D printer in every office.